(Look below for the full release just published hours after this was originally posted). 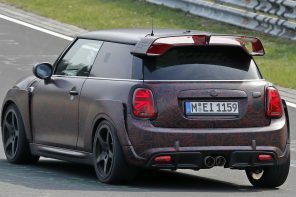 Over the last few days we’ve been able to get a clearer focus on MINI’s pending 2011 model year refresh and confirm much of what sources had been telling us for over a year. And now that some of the details have started to slip onto the web, we can now start divulging much of what we know. 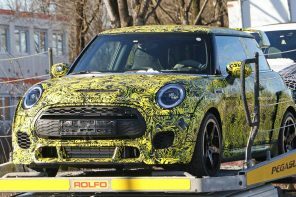 While there will be a host of exterior design changes and interior improvements (look for these in future stories), MINI plans to raise power on some models and efficiency across the board. 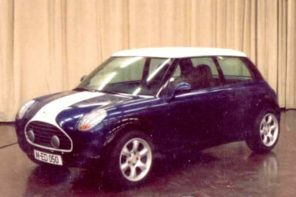 But in an interesting move, MINI will bring the updated powerplants online and into production starting with March 2010. The refresh shouldn’t start production until August of 2010 (as 2011 models). 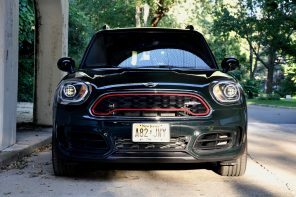 Starting with the One MINI is dropping the 1.4L and replacing it with a ultra efficient version of the Cooper’s 1.6L powerplant. With 97 bhp (up from 94) and over 36 mpg (43 mpg imperial). 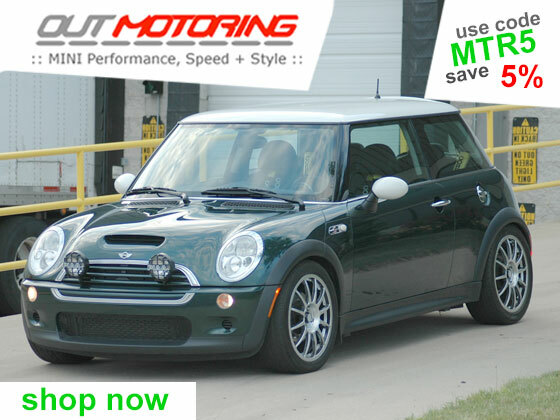 On the Cooper MINI will be eek out another couple hp and should hit atleast 120 hp (122 bhp) and 118 ft lbs of torque. However any efficiency changes should be minimal since the 1.6L used on that car has had Valvetronic since its launch in 2006. The Cooper S on the other hand is where the big news is. 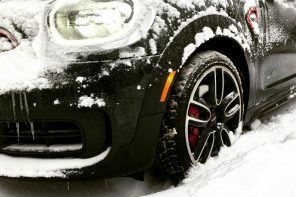 As we’ve confirmed at Detroit, MINI will be adding BMW’s Valvetronic system which continuously variates timing (on both intake and exhaust camshafts) intake valve lift. 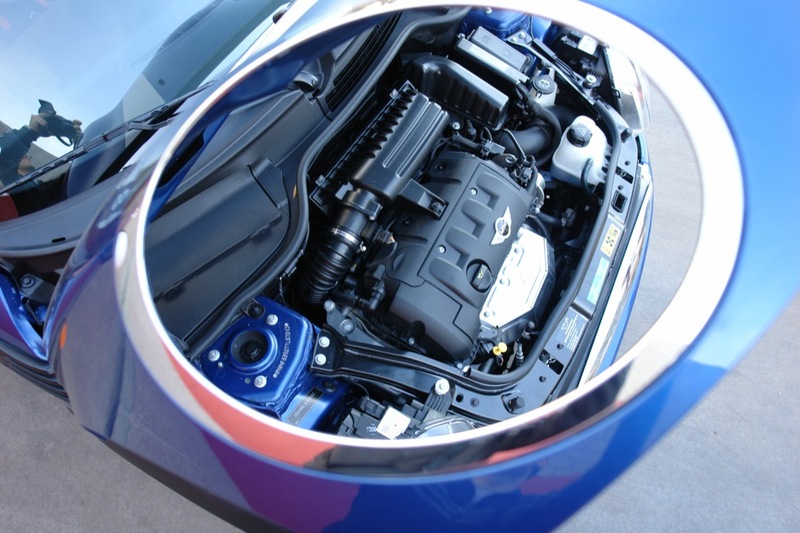 Valvetronic-equipped engines are unique in that they rely on the amount of valve lift to throttle the engine rather than a butterfly valve in the intake tract. In other words, in normal driving, the “gas pedal” controls the Valvetronic hardware rather than the throttle plate. It’s a small distinction but one that has served BMW well since it’s introduction in 2001. 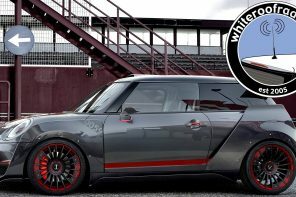 Finally MINI will be turning the wick up on the JCW powerplant. 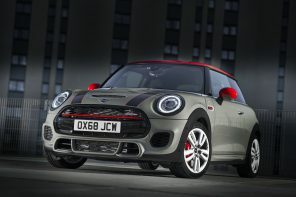 With Valvetronic added to the current JCW engine, power should rise to around 215 bhp (approximately 212 hp in the US). 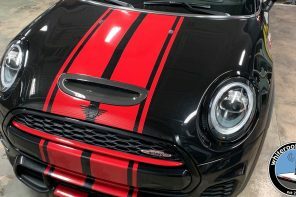 Along with all the previously mentioned refresh changes, the JCW will also get a few spec changes that we’ll tell you about in the coming days. 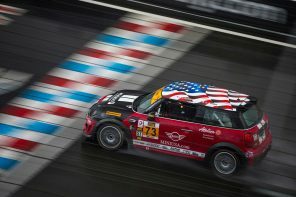 Note for our US readers, MINI does not intend to bring any new models to your shores. Performance, efficiency and driving fun â€“ MINIMALISM offers more of everything. 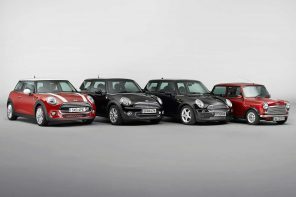 The MINI, MINI Clubman and MINI Convertible will line up in 2010 with an extensively revised range of petrol engines, a move that sees the MINI brand building consistently on its position as the worldâ€™s leading maker of inspiringly sporty and exceptionally economical premium small cars. 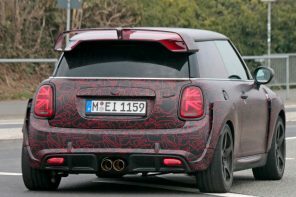 At the same time, all petrol MINI models will meet the EU5 exhaust emissions standard in Europe and the ULEV II standard in the USA from spring 2010. A fresh addition to the model range is the new MINI One Convertible. Powered by a low-fuel consumption and low-emissions four-cylinder engine producing 72 kW/98 hp, the new model offers an extremely economical way to enjoy that typical MINI go-kart feeling in soft-top form. 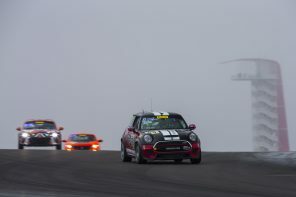 Targeted powertrain modifications further enhance the relationship between performance and CO2 emissions in all petrol-engined MINI models. 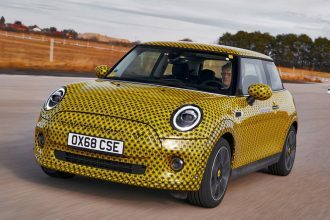 An outstanding example of the progress made is the MINI Cooper S, whose new 1.6-litre four-cylinder engine now develops 135 kW/184 hp (an increase of 7 kW) yet emits only 136 grams of CO2 per kilometre in the EU test cycle â€“ 13 g/km less than its predecessor. 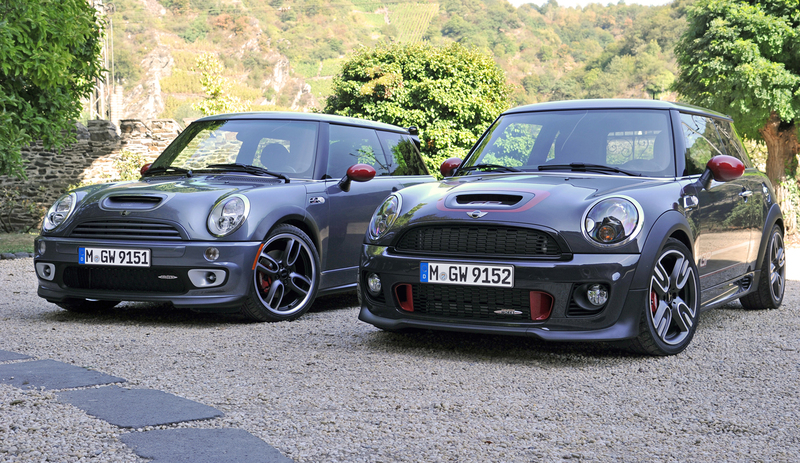 The MINI Cooper and MINI One also take the balance of driving fun and CO2 emissions to another new level. The new MINI One MINIMALISM Line, available with two engine variants, has the lowest emissions values of any petrol MINI, using optimised engine technology, Brake Energy Regeneration, the Auto Start Stop function, Shift Point Display and other MINIMALISM measures to achieve a CO2 figure of 119 g/km. The MINIMALISM concept covers all the technological measures in the current MINI line-up which help to further increase the driving fun typical of the brand at the same time as keeping both fuel economy and CO2 emissions as low as possible. 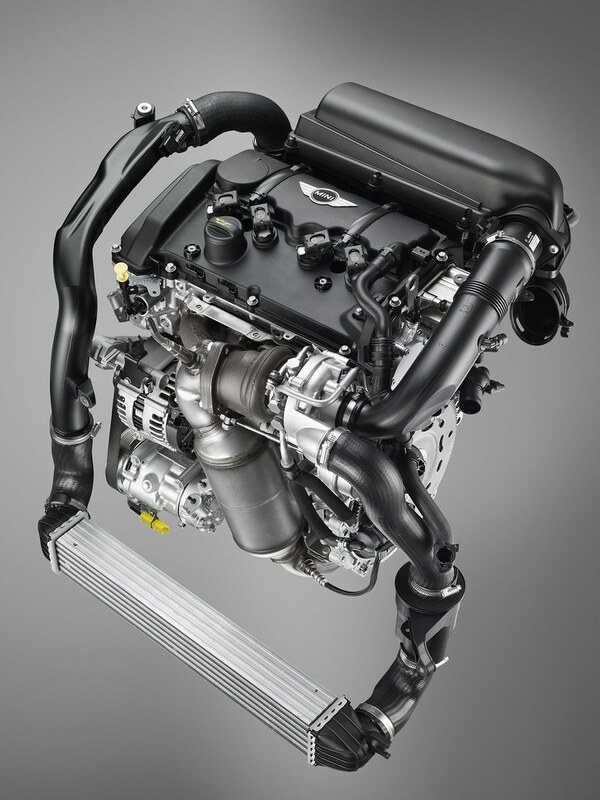 In the new MINI petrol powerplants, measures such as reducing friction and improving heat management in the basic engine have enabled further improvements in efficiency. Added to which, the engines are now served by a map-controlled oil pump with need-based operation, which â€“ in a similar way to the electromechanical power steering and further optimised coolant pump â€“ ensures extremely efficient use of energy. 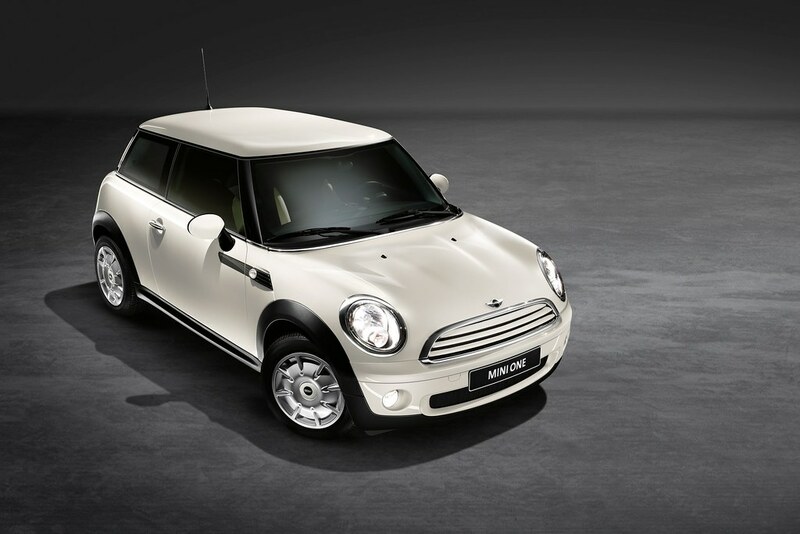 The MINI Cooper S: fully variable valve control delivers unbeatable efficiency in the 1.6-litre class. 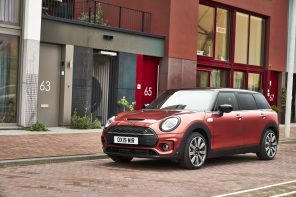 The new 1.6-litre engine in the MINI Cooper S boasts another special feature unique in the small car segment. This is the first time that the twin-scroll turbocharger and petrol direct injection system of this powerplant have been offered together with fully variable valve control. 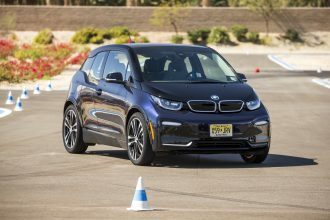 Based on the VALVETRONIC system used in BMW engines, this throttle-free load control technology optimises the engineâ€™s responses and enables a significant reduction in fuel consumption and emissions. 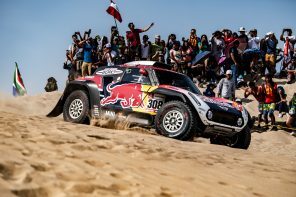 It does so by adjusting the lift and opening period of the intake valves to the driverâ€™s power requirements within fractions of a second. 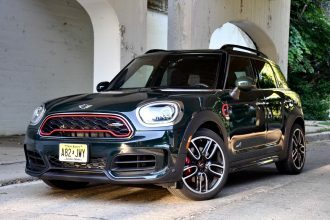 The new engine, fitted in the MINI Cooper S, MINI Cooper S Clubman and MINI Cooper S Convertible, is the worldâ€™s most efficient unit in this displacement class. 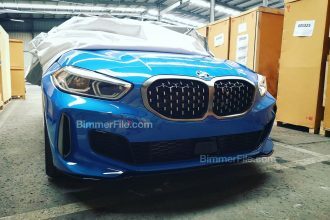 It develops maximum output of 135 kW/184 hp at 5,500 rpm and has peak torque of 240 Nm on tap from as low down the engine speed range as 1,600 rpm. An Overboost function allows this pulling power to be raised to a maximum 260 Nm for a short spell, placing additional thrust at the driverâ€™s disposal when a particularly dynamic burst of acceleration is required. 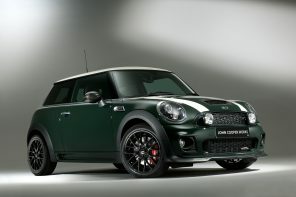 The MINI Cooper S sprints from 0 to 100 km/h in just 7.0 seconds on the way to a top speed of 228 km/h. These performance figures share top billing with average fuel economy in the EU test cycle of 5.8 litres per 100 km â€“ 0.4 litres below the value of the predecessor car â€“ and CO2 output of 136 g/km. 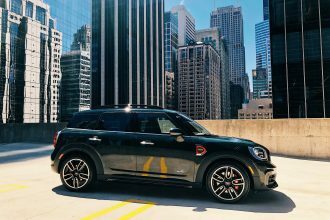 The new MINI Cooper S Clubman now packs 0 to 100 km/h acceleration of 7.5 seconds and a top speed of 227 km/h, combined with average fuel consumption of 5.9 litres per 100 km and CO2 emissions of 137 g/km. The new MINI Cooper S Convertible, meanwhile, reaches 100 km/h from rest in just 7.3 seconds and a top speed of 225 km/h, yet posts average fuel economy of 6.0 litres per 100 km and a CO2 figure of 139 g/km. 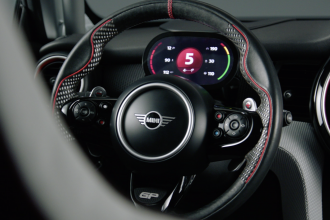 The MINI Cooper S, MINI Cooper S Clubman and MINI Cooper S Convertible are fitted as standard with a six-speed manual gearbox, while a six-speed automatic, complete with shift paddles mounted on the steering wheel, can be ordered as an option for all models. 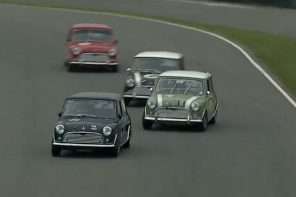 In future, manual MINI Cooper S models will come with a new, self-adjusting clutch. 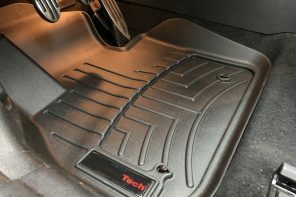 Automatic readjustment ensures that the pedal feel you expect from a MINI is there to be enjoyed over the carâ€™s full service life. Plus, the synchronisation of the gears is further optimised by a carbon coating for the clutch linings. The automatic gearbox, available for the MINI Cooper and MINI One as well as the MINI Cooper S, stands out with its high-efficiency set-up. 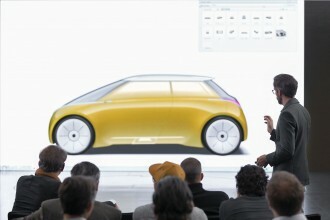 This enables further significant reductions in fuel consumption and CO2 emissions in all models in which it is fitted. 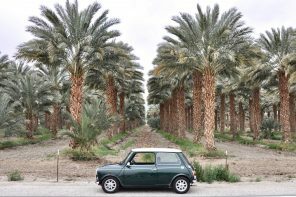 The MINI Cooper: more output, less CO2. A 2 kW increase in the output of its 1.6-litre naturally aspirated engine to 90 kW/122 hp further sharpens the sporting edge of the MINI Cooper. The four-cylinder unit â€“ which likewise features fully variable valve control, as well as optimisations to other details â€“ generates peak output at 6,000 rpm and maximum torque of 160 Nm at 4,250 rpm. 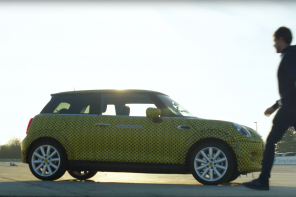 The MINI Cooper sprints from a standstill to 100 km/h in 9.1 seconds. Top speed is 203 km/h. This impressive performance contrasts with average fuel economy of 5.4 litres per 100 km in the EU test cycle and CO2 emissions reduced to just 127 g/km. The new MINI Cooper Clubman posts a 0 to 100 km/h acceleration figure of 9.8 seconds and a top speed of 201 km/h, combined with average fuel economy of 5.5 litres per 100 km and a CO2 figure of 129 g/km. 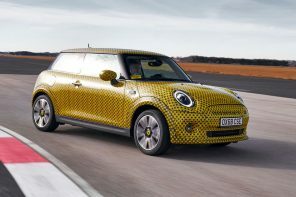 The new MINI Cooper Convertible notches up 100 km/h in 9.8 seconds en route to a maximum 198 km/h. Average fuel economy is 5.7 litres per 100 km; CO2 emissions stand at 133 g/km. The MINI One 72 kW: acceleration up, emissions down. With displacement increased from 1.4 litres to 1.6 litres and output raised by 2 kW to 72 kW/98 hp, the new MINI One 72 kW can now claim even greater agility. Moreover, its extensively revised engine helps to further reduce CO2 emissions. The four-cylinder powerplant, again equipped with fully variable valve control, releases maximum output at 6,000 rpm. Peak torque increases to 153 Nm â€“ up by 13 Nm â€“ and is available from as low down as 3,000 rpm. The MINI One 72 kW displays the fruits of this performance boost in the form of enhanced sprinting power. 0 to 100 km/h is negotiated in 10.5 seconds â€“ 0.4 seconds quicker than its predecessor â€“ and top speed is now 186 km/h. 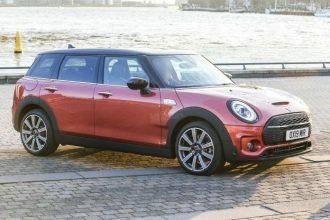 The MINI One 72 kW blends its sporting spirit with exemplary average fuel economy figures of 5.4 litres per 100 km in the EU test cycle and a drop in CO2 emissions to 127 g/km. The new MINI One Clubman also benefits in a variety of ways from the optimised powertrain technology. It needs just 11.1 seconds to move from 0 to 100 km/h and powers on to a top speed of 185 km/h. Average fuel economy in the EU test cycle stands at 5.5 litres per 100 km, while CO2 emissions are 129 g/km. A breath of fresh air, a blow to CO2: the new MINI One Convertible. The qualities of the new 72 kW/98 hp engine also come convincingly to the fore with the roof folded down. The four-cylinder unit in the new MINI One Convertible takes an extremely efficient route to marrying inspiring agility with the open-air driving experience typical of the brand. The new MINI One Convertible accelerates from 0 to 100 km/h in 11.3 seconds and on to a maximum 181 km/h. And yet the open-top four-seater burns a mere 5.7 litres per 100 km in the EU test cycle and emits just 133 g/km of CO2. 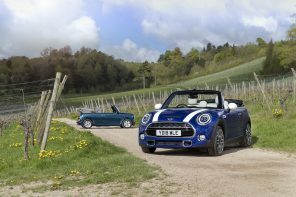 The new MINI One Convertible is the most economical way of enjoying driving fun in an open-top premium car. This attractive entry-level variant completes the range alongside the MINI Cooper S Convertible and MINI Cooper Convertible models. The new MINI One Convertible displays all the features which highlight the unique style of the brandâ€™s open-top four-seater cars. Beautifully chiselled body surfaces, a sporty, stretched side view, short front and rear overhangs and large wheel cut-outs define the carâ€™s unmistakable appearance. The typically MINI proportions are emphasised by the fabric soft-top with standard electrohydraulic opening and closing function. Cutting-edge chassis technology, including EPS electromechanical steering, unlocks that hallmark go-kart feeling. The standard driving stability control system DSC, meanwhile, ensures active safety at the highest level. Occupant protection is maximised by measures including four airbags and the single-piece roll-over bar, which extends automatically from behind the rear seats when required. 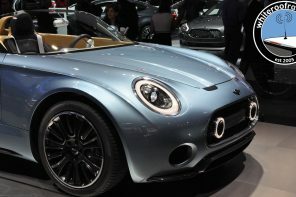 A further hallmark of the only premium open-top model in the small car segment is the broad scope for individualisation thanks to the customer-specified composition of exterior paint shade, soft-top colour and interior design, coupled with the extensive selection of optional equipment and accessories. 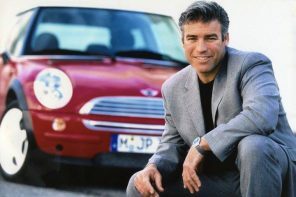 Among the convertible-specific options also available for the MINI One Convertible is the Openometer, which records the amount of driving time spent with the roof open. A new standard in efficiency: the MINI One MINIMALISM Line. 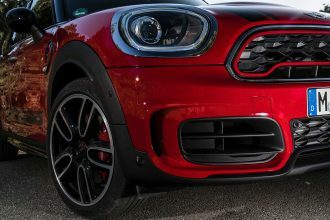 The entry-level variant in the MINI model range, the MINI One 55 kW, also benefits from a fundamental drive unit refresh, with the displacement of its four-cylinder engine likewise increased to 1.6 litres. Maximum output remains unchanged at 55 kW/75 hp at 6,000 rpm, but peak torque is now 140 Nm â€“ up by 20 Nm â€“ and can be sourced from as low down as 2,250 rpm. All of which allows the new MINI One 55 kW to accelerate from 0 to 100 km/h in 13.2 seconds and reach a top speed of 175 km/h. Average fuel economy in the EU test cycle stands at 5.4 litres per 100 km, while CO2 emissions drop to 127 g/km. Joining the range for model year 2010 are two variants of the new MINI One MINIMALISM Line, which focus even more intensely on minimising fuel consumption and CO2 emissions. 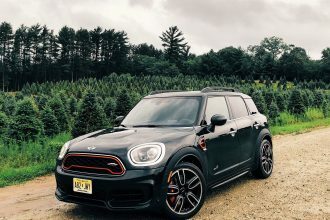 They come with a choice of the four-cylinder engine that drives the MINI One 55 kW or that of the MINI One 72 kW, achieve performance figures commensurate with each model, and combine these with an even greater degree of efficiency. Extremely focused and extensively employed MINIMALISM measures bring average fuel consumption for each model down to 5.1 litres per 100 km in the EU test cycle. CO2 emissions are likewise identical, at 119 g/km. The MINI One 55 kW MINIMALISM Line and the MINI One 72 kW MINIMALISM Line therefore have the lowest fuel consumption and emissions figures of all the brandâ€™s petrol-engined models. The MINI One MINIMALISM Line is also fitted as standard with a six-speed manual gearbox and the driving stability control system DSC. Stand-out exterior features include aerodynamically optimised wheels, exclusive Pepper White design elements in the radiator grille and on the exterior mirror caps, and a model-specific logo. Plus, like every MINI it is configured according to customer specification. Customers keen to express other facets of their individual style in addition to their appreciation of economical and low-emission mobility can therefore also choose from a wide selection of exterior paint finishes, interior colours and upholstery variants for their MINI One MINIMALISM Line, as well as an extensive range of optional equipment and accessories.